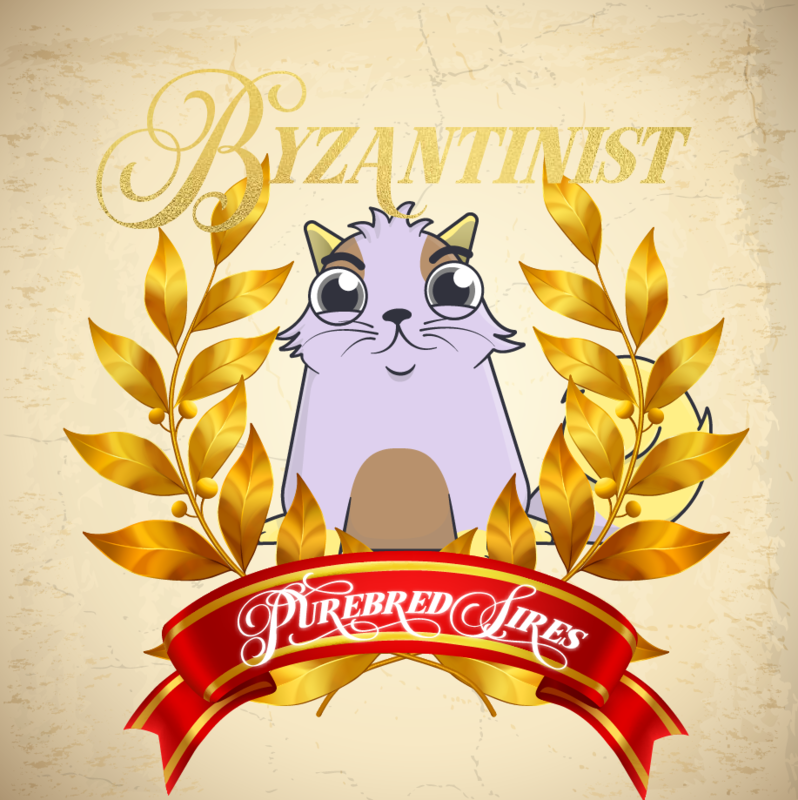 I am Byzantinist / Byzantine Kitty and I bought my first CryptoKitties on March 3rd, 2018. My particular interests are in low generation, 100% purebred (D0/R1/R2/R3) cats. My dream is to operate a CryptoKitty Purebred Siring Shop which offers purebred sires for each Cattribute trait and serves as a laboratory and sandbox for all community members to experiment with breeding. An additional benefit is that casual players would have access to more traits, giving them the chance to breed Fancy cats before the limit is reached. Breeding cats is expensive due to the 0.008 ETH birthing fee. Trying to get the genes you want is luck-based since genes can swap positions. Things get even trickier when you are trying to trigger a mutation (14%-25% after matching the right pair of genes). With completely purebred cats (D0/R1/R2/R3) you can guarantee that the cat parent will contribute that specific gene (or a small chance for a higher-tier mutation). Each failed breeding attempt also degrades the reproductive capability of your cat. Plus, it takes your cat out of action for awhile, which can be problematic if you are trying to breed fancies or acquire Mewtation jewels. Last of all, careful breeding is responsible. Bob Barker used to talk about how important it is to "help control the pet population." Although we won't be spaying/neutering any CryptoKitties, it is wasteful producing junk cats through breeding experiments and it can depress the overall value of cats. Plus, all those extra transactions puts pressure on the Ethereum system. So do your part by using purebred cats for siring! or just breed with my cats! Any proceeds that are generated will simply be reinvested into more kitties, to expand my line of available traits for siring.